Nicholas E. Warywoda has spent his entire legal carrier fighting for the rights of victims against large corporations and insurance companies. While in law school Mr. Warywoda was a legal intern at Raskin & Kremins, L.L.P. and upon graduation and passing the bar he was hired as an associate attorney. After 4 years Mr. Warywoda felt it was time to gain experience elsewhere. 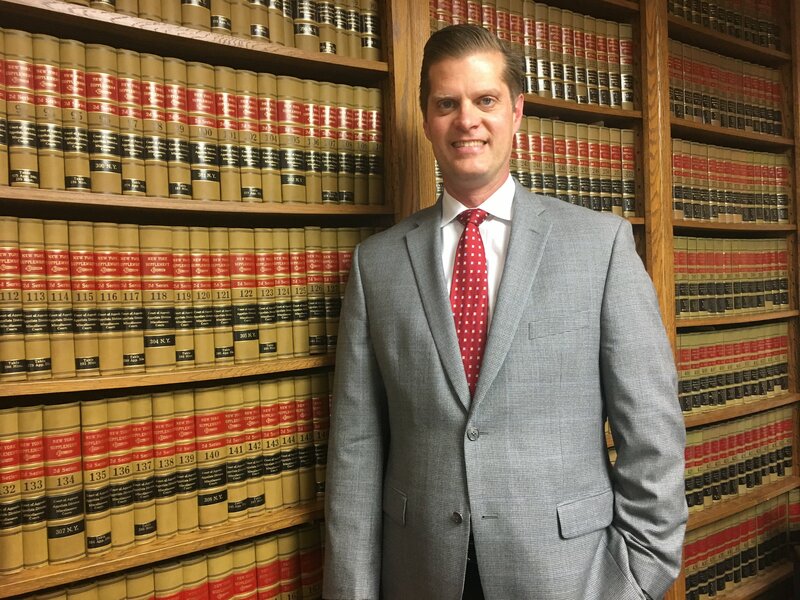 For the next 14 years Mr. Warywoda worked at three of the top personal injury firms in New York and honed his skills under some of the top trial lawyers in the nation. Mr. Warywoda gained a reputation as a fearless litigator who was never afraid to take on the largest corporations, municipalities or product manufacturers. Mr. Warywoda’s attitude has always been that he will not stop fighting until his client receives every bit of compensation that they deserve. Knowing that Raskin & Kremins, L.L.P. was always where he belonged, Mr. Warywoda returned as a Partner at Raskin & Kremins in 2018 and continues to fight for his clients and their families. Throughout his legal career Mr. Warywoda has obtained multiple Million Dollar verdicts and settlements and his cases and verdicts have appeared in newspapers and on both local and national television including his 7.9 million dollar verdict against a doctor and municipality for the family of an Iraqi war veteran who committed suicide while in jail. Mr. Warywoda has obtained million dollar verdicts and settlements in all areas of personal injury law including car accidents, slip/trip and falls, construction accidents and medical malpractice.